Looking for some inspiration for a Slimming World Halloween? 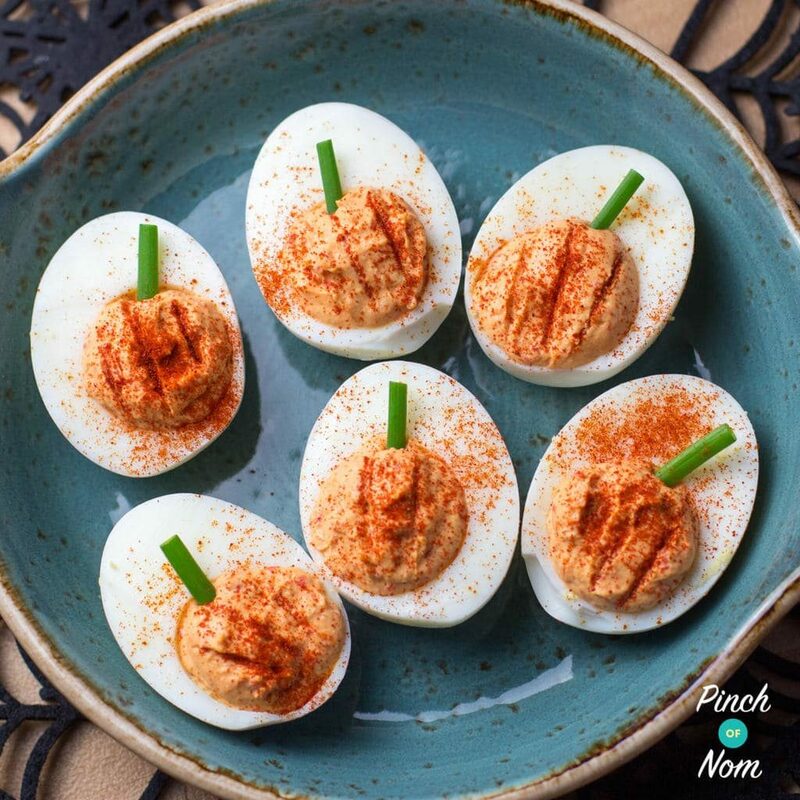 Why not try these Syn Free Red Pepper Deviled ‘Pumpkin’ Eggs? These are really easy to prepare, and you could even enlist the help of the kids for Halloween. You can add as much or as little paprika as you want, it’s all a matter of taste. Another thing to mention is the Red Peppers from a jar. We like to use Lidl Freshona Roasted Red Peppers in Sweetened Vinegar, as they are syn free. Whichever you decide to use make sure they are in sweet vinegar or brine, not in oil. We don’t want to be adding any syns now do we? 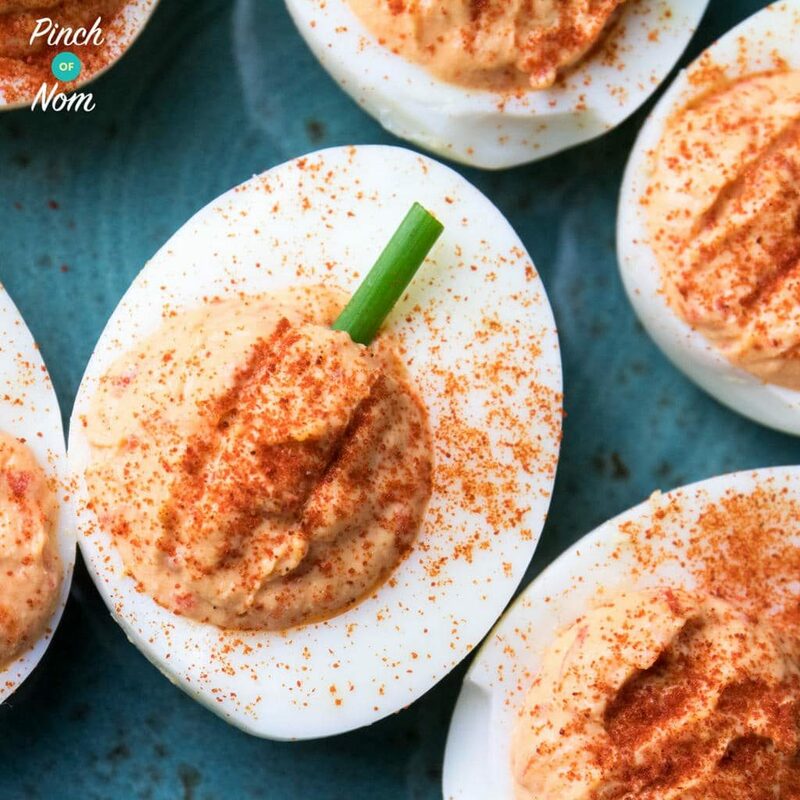 As I mentioned, these Syn Free Red Pepper Deviled ‘Pumpkin’ Eggs are really easy to make, but you will need a piping bag. 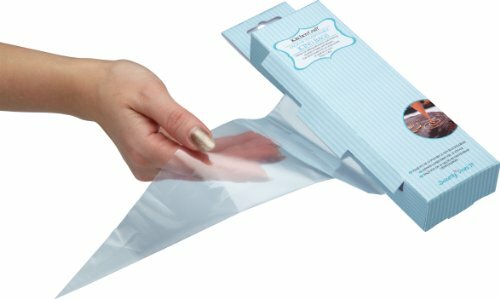 If you don’t have one you can pick up some disposable bags from Amazon. 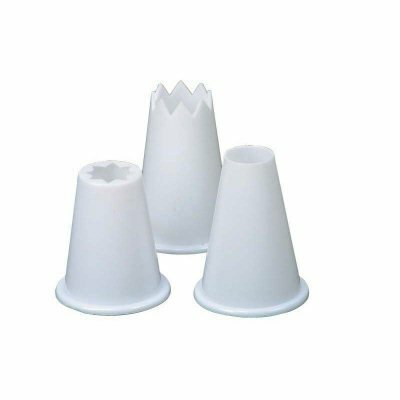 You’ll also need a big plain piping nozzle. Also available on Amazon. Need some more ideas for Halloween? 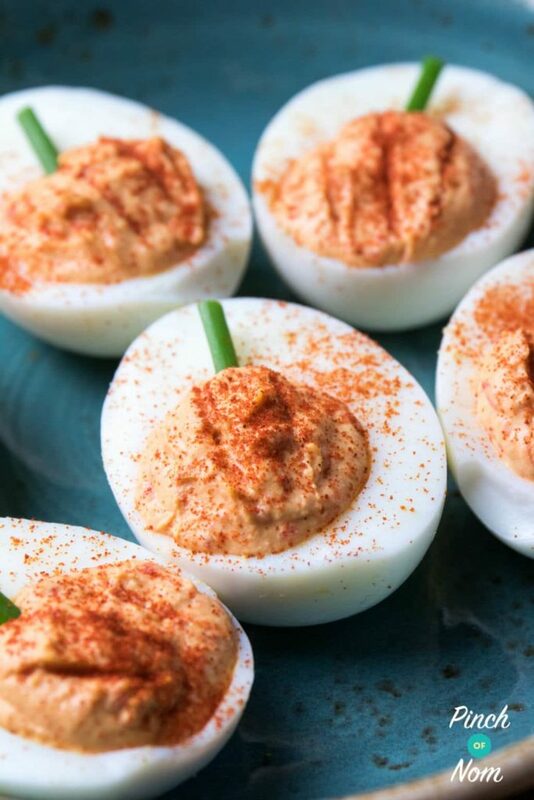 Lightly dust each egg with a little more paprika.